Overtime in Glasgow for 9 to 5 the Musical! 9 to 5 is a hilarious new musical comedy, based on the hit movie and centres on three office workers who turn the tables on their sexist, egotistical, lying, hypocritical bigot of a boss. They conspire to take control of the company and learn there’s nothing they can’t do. Outrageous, thought-provoking and even a little romantic, 9 to 5 is about teaming up and taking care of business. Feisty, fun and oh so fabulous! 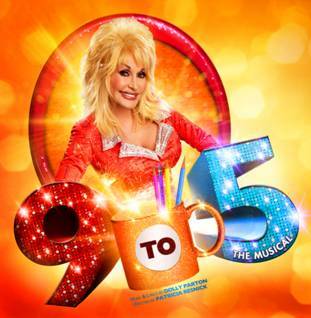 This show features Dolly Parton’s original hit title song, “9to 5” which won her an Oscar nomination and 4 Grammy Award nominations along with her new Tony and Grammy nominated score. With 18 original Dolly Parton numbers, including numbers from her last two albums “Backwoods Barbie”, “Shine Like the Sun”, “Get Out and Stay Out” and “Let Love Grow”.